Here is another addition to our calendar family. 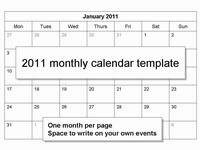 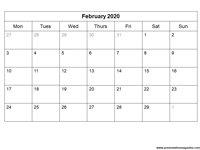 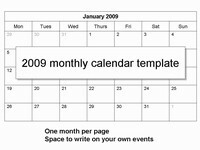 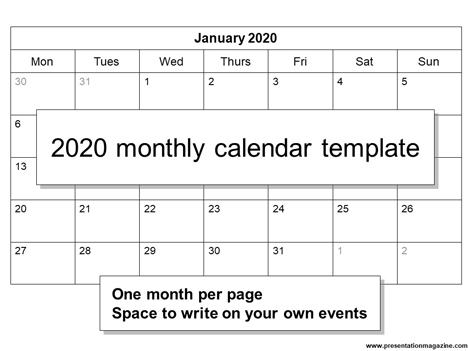 It is a monthly calendar template for 2020. Like all of our templates, it has been done in PowerPoint with a month on each page. Thank you for providing these great, wonderful and easy to use templates. 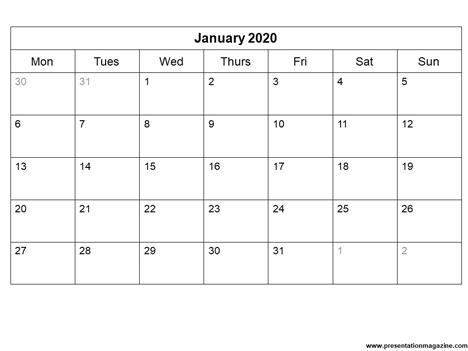 I use them each year.